At Portadown Locksmiths we don’t believe in just keeping our clients happy! We believe in exceeding their expectations all the time, every time. 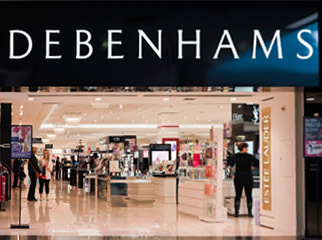 As approved contractors for many of the high street stores throughout Northern and Southern Ireland, we provide emergency entry, repair and installation for shutters, auto doors, safes, service work, locks, panic bar systems and access control. At Portadown Locksmiths we offer not only a general locksmith service but also specialise in the supply and maintenance of all types of safes, digital and mechanical locks, vehicle transponder keys, roller shutters, automatic doors, automatic gates and barriers and general building maintenance and break-in repairs. 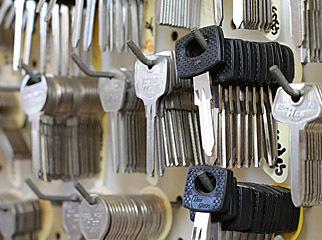 We have a large selection of all types of keys and locks to copy or by code.. Many major private and public sector companies choose Portadown Locksmiths as their preferred supplier for all key and lock services. From shutters to broken and lost keys, our 2 hour response is available throughout Ireland. Opening all vehicles through lock manipulation and probing. 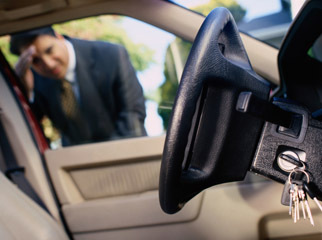 We can decode your vehicle system then recode the system and cut new keys for you. We can decode & recode the majority of all makes of vehicles. We are proud Members of the Auto Locksmiths Association. 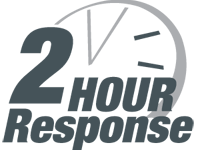 The Master Locksmiths Association (MLA) is a not for profit organisation established to promote the level of skills and ethics within the industry. All members of the Master Locksmith Association are vetted, undergo regular inspections to ensure quality, and employ a locksmith with an exam based qualification. At Portadown Locksmiths we are highly involved with this organisation and our Managing Director has stood a Chairman of this MLA. 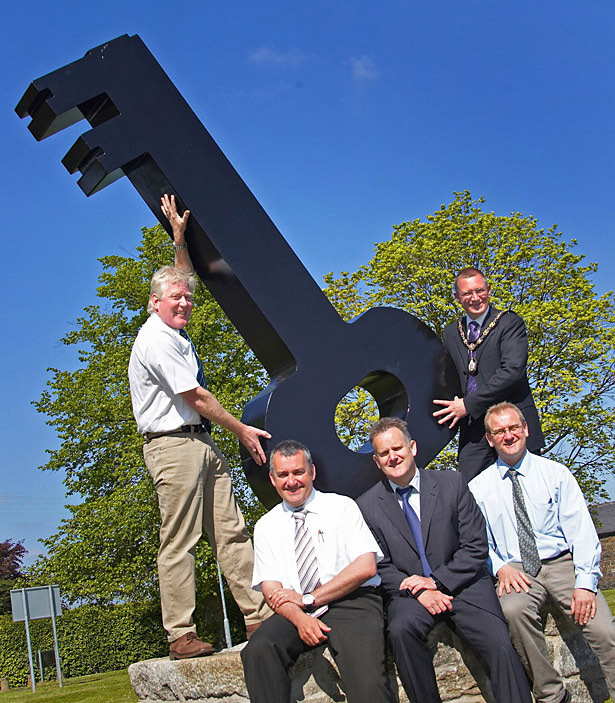 Driving past the picturesque Edenvilla Park you can’t help but notice ‘the big key’ sculpture sited at the entrance – and many of you are probably wondering what it is all about! ‘Opening doors’ is the theme behind the sculpture, organised by our local Council, sponsored by Portadown Locksmiths and created by Molloy Engineering. The key stands approximately eight foot high, is made of steel and sits on a plinth of granite that came from the old Bann Bridge. “Obviously as a Locksmith, I thought the key would be a good idea for a sculpture,” says Philip Troughton “as it could be representative of opening doors in a number of ways. The key can also be representative as the doorway to Alice in Wonderland themed park. Inside the Park you will find tree trunks carved into the different characters including Alice herself, the Cheshire cat, the Mad hatter, the Queen of Heart’s chair and the caterpillar to name just a few. At the moment the key is black however don’t be surprised if you see it change colour in the future! 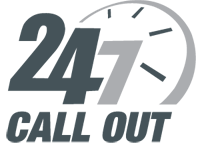 All of our systems and procedures are implemented and audited within the scope of ISO 9001:2008. As one of the only locksmiths in Ireland to achieve this accreditation, you can therefore rest assured that the quality of our services remains unrivalled. Contact us with your enquiry.